Belgium is a small and humble country that is often overshadowed by its more famous neighbours, but this is a spectacular destination that should be on your radar. It’s here that you’ll find fairytale cities filled with magnificent architecture, elegant public squares, placid canals and cobblestoned shopping streets; and brilliant green countryside studded with historic villages and medieval castles. Wander the narrow streets of gorgeous small cities, exploring historic architecture and an incredible arts legacy; or simply sit in a sidewalk café and soak up the atmosphere as you indulge in Belgium’s famous chocolate, waffles, fries and beer. Stroll the splendid Grand Place, Brussels’ 17th century public square; and explore the canal-side architecture, cobbled streets and quirky bars of Ghent. Head to the happening port city of Antwerp for fashion, music and lively nightlife; and discover the magical medieval town of Bruges, truly one of Europe’s most charming places. Join one of our exciting Bike & Barge adventures from Bruges to Brussels, Brussels to Amsterdam or Amsterdam to Bruges, and combine supported cycling though idyllic landscapes and quaint villages with barge cruising down the beautiful channels and waterways of Belgium and Holland. With its flat terrain and picturesque countryside, you’ll want to get out and experience the highlights of northern Belgium at handlebar level. 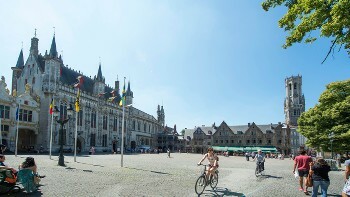 Take a look at our unique itineraries and start planning your Belgian adventure! 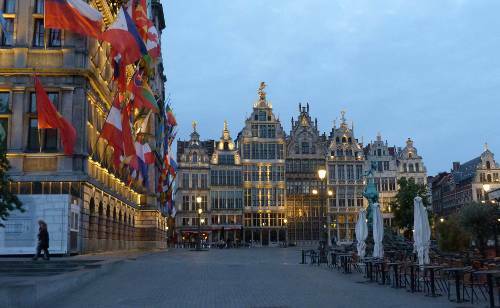 Enjoy a Belgium beer or waffle while discovering this delightful historic city. 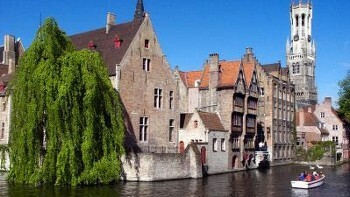 The medieval town of Ghent will fascinate around every corner. 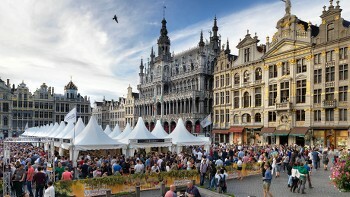 The beautiful town square and some of the world's best waffles await you in the Belgian capital. 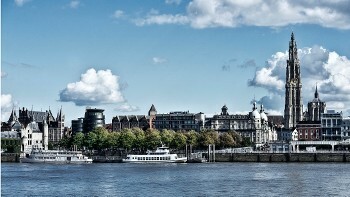 Set on the river Scheldt, Belgium's second largest city is known for its diamond trade and thriving international port and has a medieval heart brimming with cafe culture. Western Flanders, including the town of Ypres, were at the forefront of WWI battles on the Western Front. 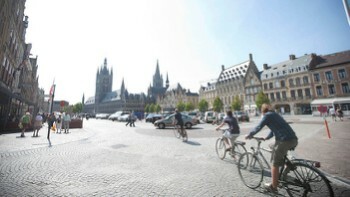 After the war, Ypres was meticulously restored. 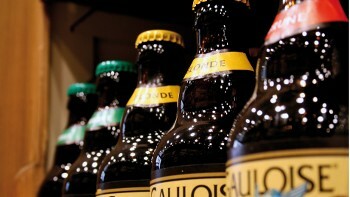 Belgium is known for its vast range of craft beers. The Abbey of Floreffe has been producing its own beers for centuries. Chocolate is synonymous with Belgium. 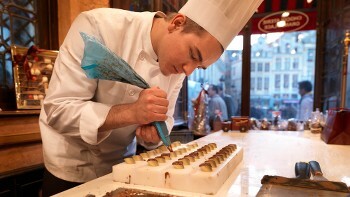 Visit the Belgian Chocolate museum in Brussels for your fix of history and tastings. Think of it as your floating hotel, where each day you experience a different sunrise and sunset location and you only unpack once. Berths range from two lower or bunk bed style but can be upgraded to larger berths with double beds. The bar and dining area is always a popular hangout at the end of each day's activity. The crew includes an onboard cook. Electricity in Belgium is 230 Volts, at 50 hertz. The most common pin type is C. (2 round prong).